JS Consulting specialises in helping businesses, startups and organisations who need to build their presence online. 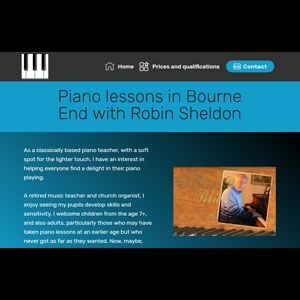 I have over 20 years experience of working with businesses to understand their individual needs and aspirations - and creating effective solutions to help them succeed. As a freelance web designer, my Number One priority is to develop this working relationship - which depends on building trust through good support. In the current climate where 4 out of 5 people use a mobile phone and Google penalises websites that aren't fast and mobile friendly, it's never been more important to present your business effectively on all platforms. JS Consulting website designs are built for mobile and achieving better search engine results from start to finish. At a time when every penny counts, we work to tight budgets and offer flexible payment options. For the newcomer to online marketing, this can be very time consuming and JS Consulting offers The Full Works, a package for startups to establish an effective business presence in many dimensions. With substantial experience in helping businesses achieve better search engine results (Search Engine Optimisation), I also welcome enquiries about SEO services to improve the search engine results of an existing site. 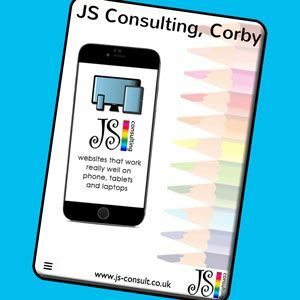 As a local freelance web designer based in Corby, Northamptonshire, I have the advantage of working closely with my clients. To make the most of this, I prefer to work in Northamptonshire and South Leicestershire) to ensure that I can maintain face to face personal consultation. I am proud to have been associated with a number of my clients over many years and believe this is due to the continuing solid support I am committed to provide. Our UK hosting service provides a 24/7 support line and I try to respond to queries and problems as quick as I can. JS Consulting provides a Money Back Guarantee both for completing new website design projects within one month AND when your site is down for a period of 24 hours or more. I have never yet had to pay out on either count! 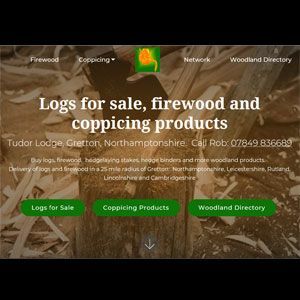 These three sites are live examples of our Starter website designs for business and startups: Mobile friendly, attractive and easy to use. Further down, find examples of Community sites, Joomla sites for Business and our Cupcake Mobile Apps. 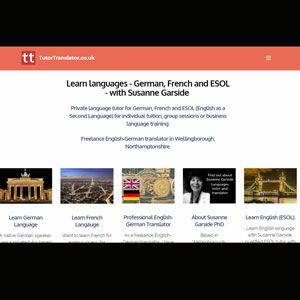 Starter site which shows the variety of subjects offered by this popular tutor and channels enquiries through her contact page. What kind of business website design do you get from £185? 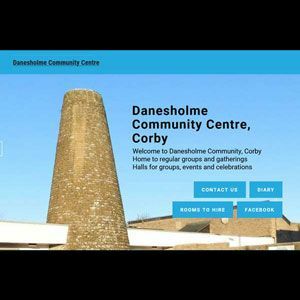 With lots of experience working in the local community, JS Consulting offers particular skills and insights to help community groups build their online presence. View a full example for a choir (or membership group) here. 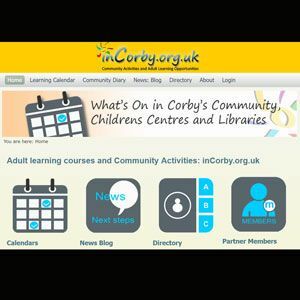 A simple starter site for this Corby Community Centre with our own photography. The attractive presentation and stong search engine positions create regular enquiries for venue bookings. A Joomla site which offers this Corby Centre full admin control. 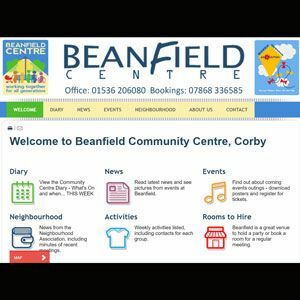 BeanfieldCentre is fully mobile responsive and has the potential to provide centre users with comprehensive current information. inCorby combines multi user calendars, full featured directory and bloogin features. Joomla CMS is a platform which offers almost unlimited functionality for business websites. Joomla is especially effective for businesses that need multi users and databases to run their websites - shops, event registration, directories and fully customisable image galleries. JS Consulting has 10 years experience working with Joomla CMS. 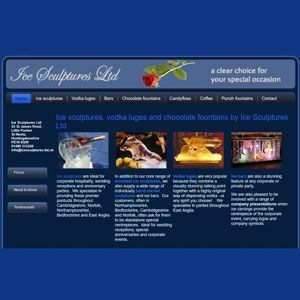 An effeictive Joomla presentation for a long established ice sculpture specialist with excellent search engine positions in a competitive market. 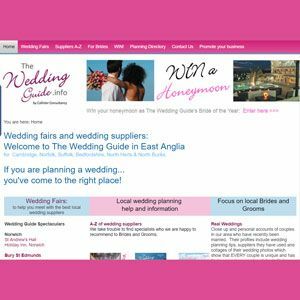 A full featured site for a busy wedding fair calendar with attendance registration. The information from registrations provides key data for ongoing email marketing campaigns. With 4 out of 5 people in the UK using a smart phone, an affordable Cupcake mobile app is an ideal way to keep your business and its many channels 'in the pocket' of your regular clients and user groups. Just think of the benefits to your students or team members to have your information, latest news and offers just one click away, wherever they are! A simple mobile interface that draws a wide range of .Gov.Uk resources together to create an extremely user-friendly resource - PLUS online resources to help people who find using IT a challenge! 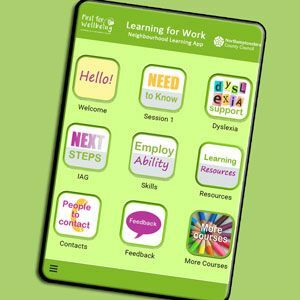 Mobile app to help a specific group of learners access a wide range of resources relevant to their courses and help them to progress to further learning.